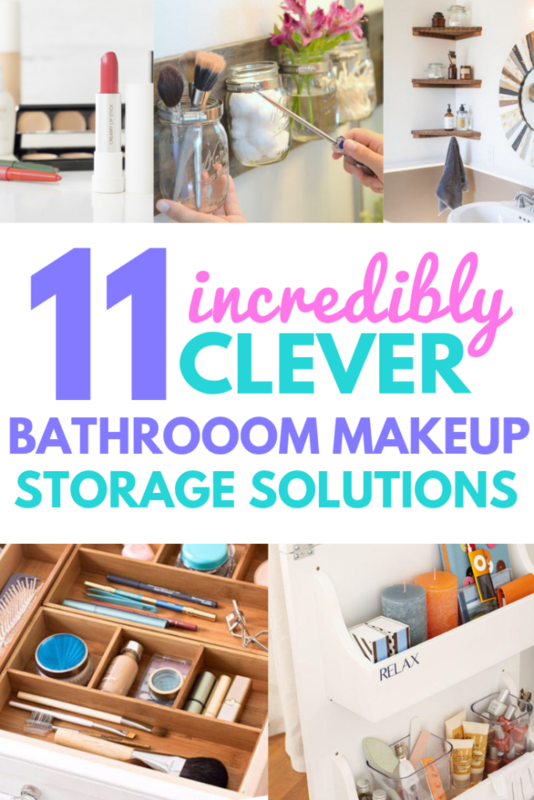 If you’re on the hunt for bathroom makeup storage ideas, today, I’ve got your back. As a total makeup enthusiast, it’s pretty easy for my makeup collection to suddenly become a complete disaster. And trust me, there’s nothing more frustrating in the morning, when you’re trying to get ready, and you can’t find your favorite eyeliner (been there, done that). Not to mention, if you have a small bathroom, or you’re sharing your space with another person, storage solutions can quickly become an absolute must for a high functioning bathroom. So, if you’re in the same boat and you’e ready for the best bathroom makeup storage ideas, it’s time chat. 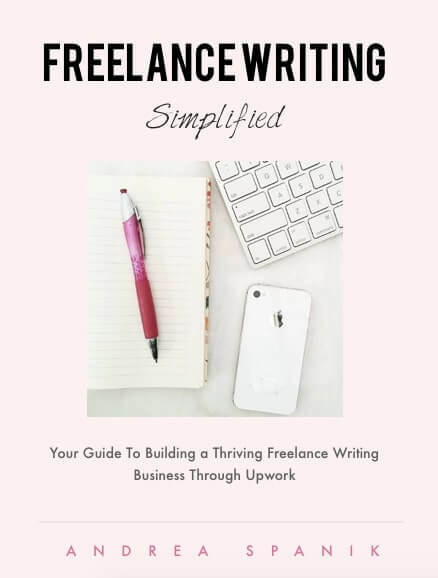 Please note that this post does contain affiliate links, which means if you do make a purchase through one of my links, I make a small commission at no extra cost to you. 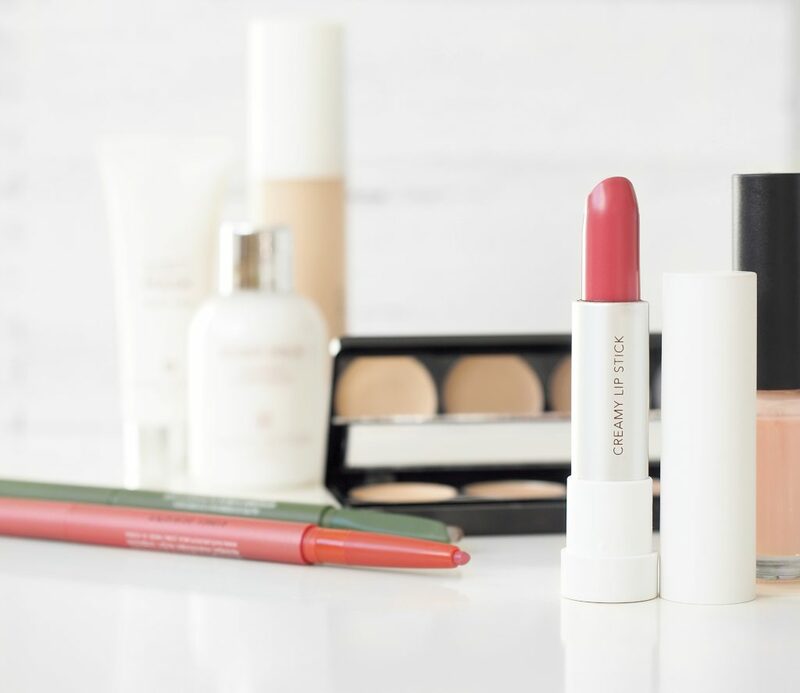 First things first, before you even start thinking about bathroom makeup storage ideas, go through all your makeup, and decide if there are any products that you can give away or throw away. If you’re not using a product, it’s just going to take up space that you probably don’t have. In addition, be sure to check for expiration dates. Because yes, your makeup can expire, and there’s nothing worse for your skin than expired makeup on your face. In an ideal world, I’m sure we would all love to beautifully store our entire makeup collection in one place, but if you’re short on space in your bathroom, consider organizing your collection by use. 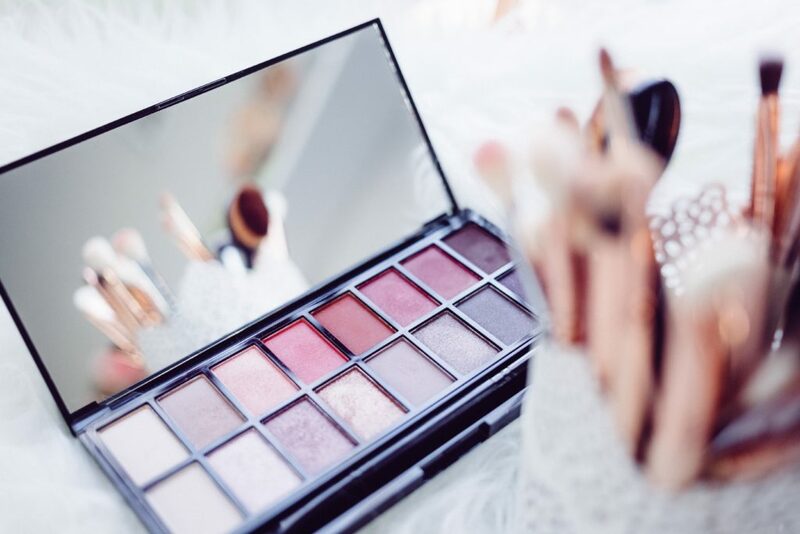 In particular, I would suggest investing in a nice acrylic container that you can keep your everyday makeup in, and placing that in an easy-to-access spot in your bathroom. Perhaps you have a drawer or a small section of counter space that you can use? Place your most frequently used makeup here. Then, all the makeup that you only reach for on occasion, use the same acrylic containers, but place the containers in an area where you do have storage. Perhaps under your bathroom sink? Or even a linen closet, if necessary. The acrylic containers will ensure that even though your makeup isn’t all together, it’s still incredibly easy to access because you can see through the acrylic, and identify items without having to dig through to find the product you’re looking for. When you’re tight on space in your bathroom, it’s always best to use vertical storage solutions. This will allow you to store more makeup in a smaller place simply because you’ll be building up rather than across. Again, acrylic containers are great for this because you’ll be able to see what is in the container. If you have a lot of makeup brushes, these can really start to take up space. In order to save on space and make your makeup routine easier, keep all your brushes in one easy-to-reach place. You can use a drawer, but I’ve found that one of the best places for my makeup brushes is in a decorative glass. Not only does this add a nice decorative element to my makeup collection, but it also means I can quickly glance at my brushes, pick the one I’m looking for, and pull it out. No digging though multiple drawers and makeup bags required. ProTip: Old candle holders work perfectly for this! If you’ve ever spent any time at all digging through drawers trying to find something, you know exactly how frustrating this can be. Not to mention, it just doesn’t look very nice to have drawers littered with product. Invest in drawer organizers, and then separate your makeup out by product category. For example, keep all your eye shadow palettes in one section of the drawers, your blushes in another, and your lipstick in another. Have you noticed that in kitchens open shelving has become extremely popular? Well, for your bathroom, I suggest using the same principle for your makeup. You want your makeup to be as accessible as possible, without having products littered across your bathroom. To do this, it’s important to minimize the chances that you’ll leave products out, which is why I always suggest the “open shelving” idea. You don’t have to actually build shelves in order to achieve this, if you don’t want to. You can buy makeup storage solutions that don’t have any drawers, but that allow you to access your makeup without any fuss. 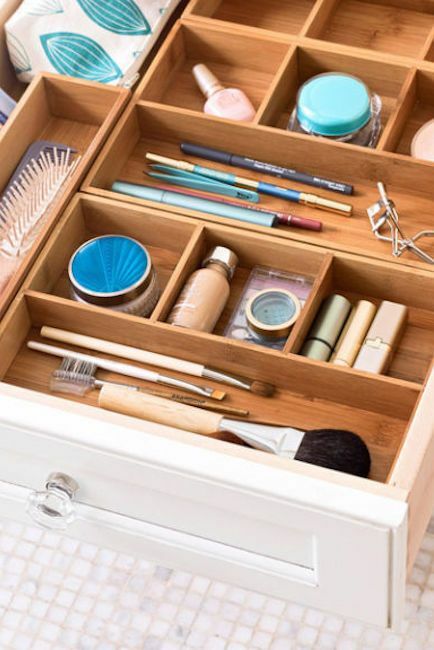 Whether it be the back of a medicine cabinet door or under the sink, the backs of doors are highly under-rated when it comes to makeup storage solutions. Here, you can keep all those items you use on a daily basis, but that easily get lost, like tweezers, nail clippers, Q-tips, and nail files. If you have a spare corner in your bathroom that is going to waste, adding some corner shelving can be a great storage solution. 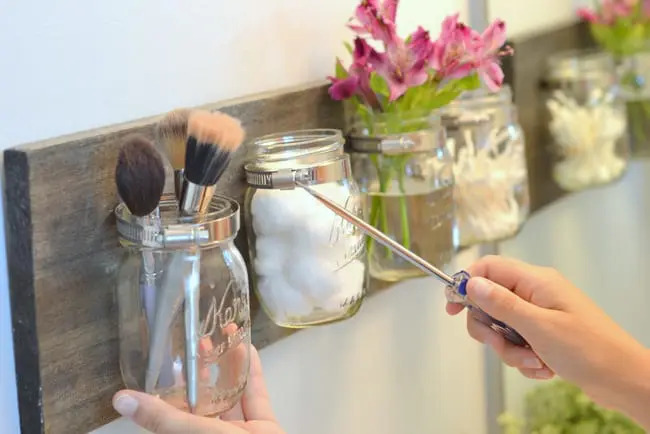 While this won’t necessarily add a ton of space in your bathroom, just that little amount can be a great spot for storing that decorative jar with your makeup brushes, for example. And hey, if you don’t have a corner to use, if you have any space at all for some shelving, it’s highly recommended that you make the most of it. 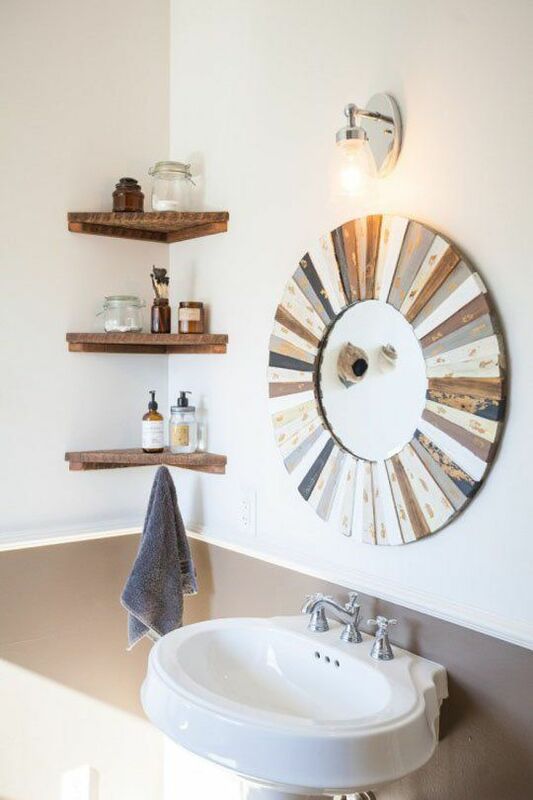 There are so many budget-friendly, easy to install wall shelves you can pick up that it’s the perfect solution if you’re looking for bathroom storage solutions. But hey, if you don’t want shelving in your bathroom, you can always give the bathroom cart idea a try. Not only will this provide you the extra storage space that you need, it also makes use of that vertical storage solution that we were talking about earlier. Simply go for a cart that is taller, rather than wider, and you’ll easily be able to store your makeup on the shelves for easy access. With this idea, though, just be sure to look for organizers with no lids, especially if you’ll have makeup on the lower shelves. You’ll want to be able to look down, reach in, and grab whatever product you need. You don’t want to be fumbling with lids in order to figure out where a certain product is. If you’re feeling handy, I absolutely love this clever wall unit made with mason jars. 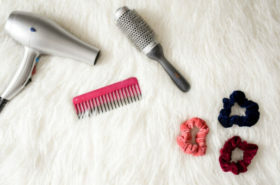 It’s a super simple DIY to make (and budget friendly), while also being functional for storing brushes, cotton pads, and even your favorite eye products, like mascara, eyeliner, and brow pencils. Learn how to make this clever wall unit here. 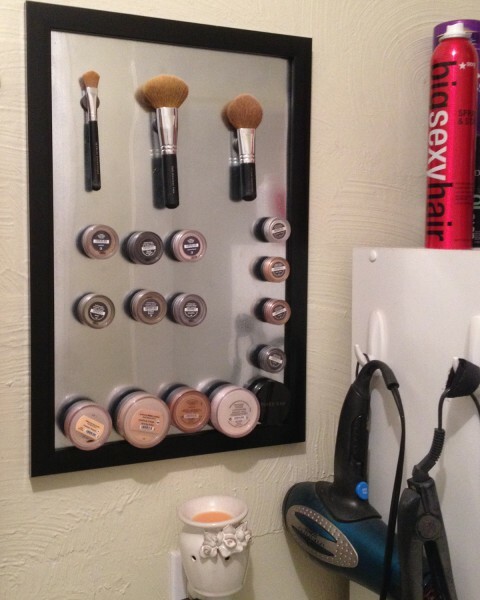 I’ve seen this done before, and if you’re looking for a storage solution that will allow you to access your makeup super easily, there’s no better idea than this makeup magnet board. You can make your makeup magnet board colorful and fun, or you keep it more minimal and simple. However you make your board, if you pick a style that matches your current decor, I’ve got a feeling this little board is going to both look great and be super functional. 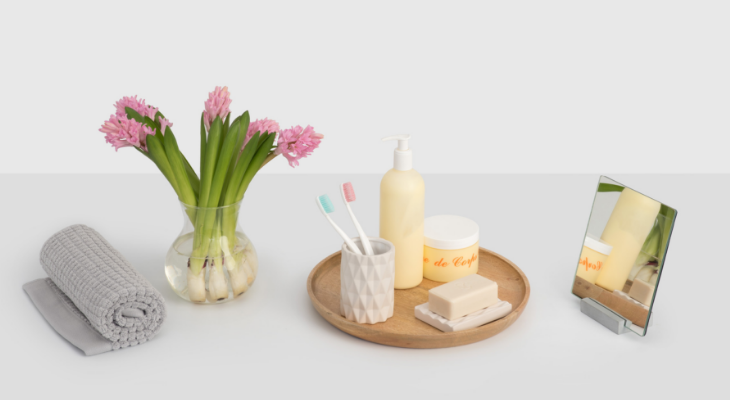 Will you be using any of these bathroom makeup storage ideas? Give them a try, and let me know what you think! And remember, if you’re doing any shopping on Amazon, be sure to use your 30 day FREE trial of Amazon Prime, and don’t forget to sign up with Ebates for cash back on all your Amazon purchases. Obsessed with makeup, fashion, and all things pretty, I've taken these passions and built a business as a Freelance Fashion & Beauty Writer. And now I'm sharing my journey and showing you how to do the same. So grab a cup of coffee and a notebook. 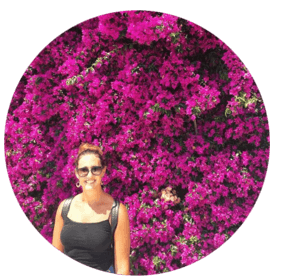 If you have the hustle and heart, you can totally build your own thriving online business! 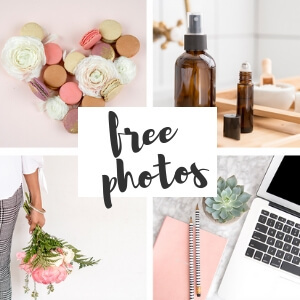 Wanna Beat the Instagram Algorithm?